Bayfield resident Edin Ramos, left, was detained by U.S. Immigration and Customs Enforcement during a scheduled check-in Feb. 5 in Durango. Ramos moved to the United States from Honduras 15 years ago. He has tried to obtain lawful permanent residence since marrying his wife, Thalia, in 2006. The couple’s three children are ages 6, 8 and 10. The issue of immigration – past and future – is at the top, or near of the top, of every political party poll in this country. If the strength of the economy and resulting employment is not the most often checked, it is immigration. Going forward, the question is whether potential immigrants should be favorably scored on their likelihood of adding to the economy, or whether families should be made whole. Looking back, it is whether those who arrived illegally should be able to stay and whether they should become citizens. Within the latter group are those who were brought here as children, are contributing and succeeding, and know no other country. While national polls show strong support for embracing immigrants who are here and engaged, and who have not committed crimes, members of Congress cannot come together to shape a path forward. And with a change in president 15-months ago, supported by the Republican Party, federal immigration enforcement has broadened its sweep to arrest almost anyone who is in the country illegally. That is how the head of the Ramos family, living in Bayfield, was detained in February when he checked in for his regular annual appointment with ICE. Edin Ramos had entered the U.S. illegally in 2003, fleeing what he has said was corruption and crime in Honduras. As was the policy under the previous administration, Ramos had received an annual stay of removal – which postponed any action on his illegal arrival in the country – since 2012. 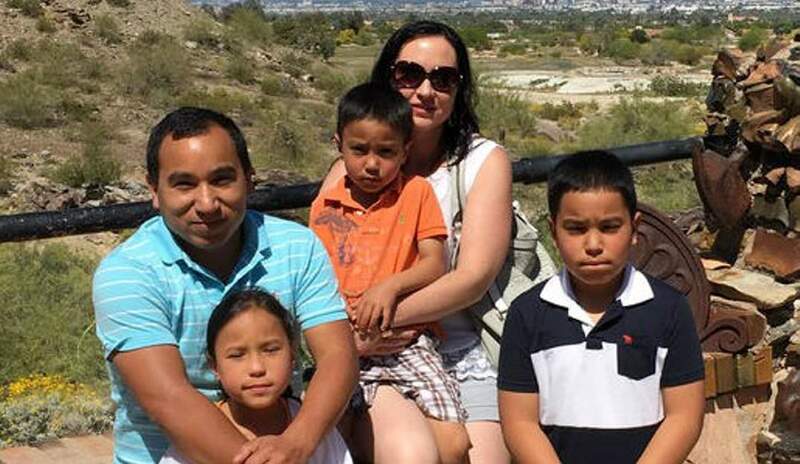 In February, expecting another stay, the fifth, he was instead detained and has been told he will be returned to Honduras. Ramos and his wife, with three children, have two cleaning businesses based in Bayfield and employ 13 people. Other than arriving in the country illegally, he has broken no laws. He is a part of a community and he has created jobs, and we can expect he is paying whatever taxes he owes. Edin Ramos and his wife are doing just what most Americans want other Americans to do. There have been other identical stories of illegal immigrants in other parts of the country detained when checking in with ICE, as required, in expectation of being allowed to continue residing in the U.S. Most agree that is not where ICE should be putting its efforts. Immigrants who have committed serious crimes, or have crossed the border illegally multiple times and may not be meeting their legal obligations, are much more logical targets. If new immigrants should be judged on their possible contributions to the country, shouldn’t those who have proved themselves be given consideration? As importantly, as word spreads that individuals who are meeting their obligation of checking in with federal authorities are instead being unexpectedly held for deportation, it is easy to imagine that reporting will decline or come to a halt. With that, immigrants understandably will go underground, attempting to keep as low a profile as possible. That does not bode well for legal employment, paying taxes or any business creation. Local police forces know that if witnesses to a crime, and even victims, believe that they will be deported if they speak up, they do not. Illegal immigration enforcement in this country has taken the wrong turn in the past 15 months, diverting resources and creating even larger challenges. It is causing worry and hardship for many individuals, such as Edin Ramos and for his family, who have applied their energy and ideas to be a successful part of a community. They deserve better from elected officials in Washington.